Tony and Peggy Barthel from Featherbed Railroad visit Dancing Treepeople Farm and Loretta gives them a tour. Crazy. Organic Walnuts, fresh from the farm. In this video we load up Loretta's Toyota Corolla and head out to the co-op drop point. This year it was EXPENSIVE, since the USDA program is no longer reimbursing organic farmers in California. *sigh*. Many years ago, we hung Barn owl boxes around the orchard. My thought at the time was that barn owl habitat would bring barn owls and barn owls would prey on rodents, which are always abundant on a walnut orchard. Well, for a variety of reasons, the boxes were not attractive to barn owls. In time, the plywood deteriorated and the boxes fell from the trees. In the meantime, the walnut trees continued to age and now they provide what looks like plenty of owl habitat where old branches used to be. We hear the owls at night. Celebrating today. 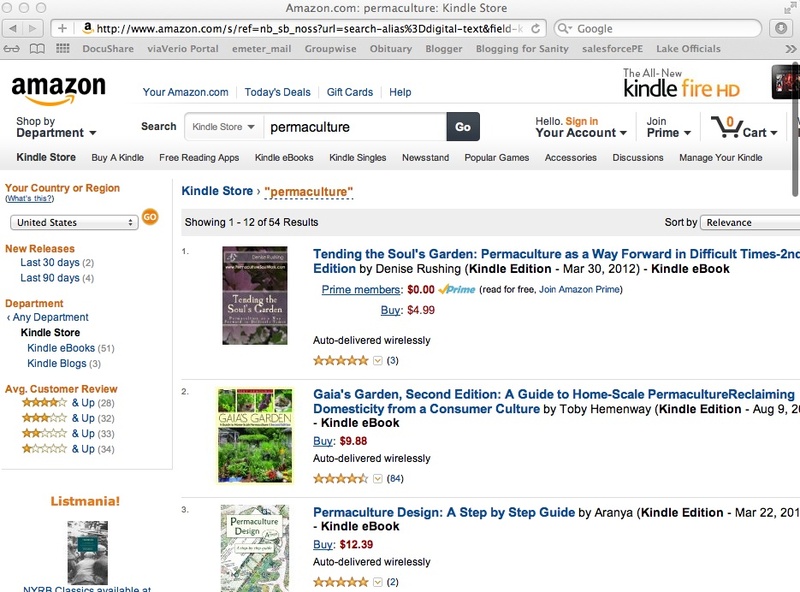 My book has reached #1 in the Permaculture Kindle category!